With the Summer Olympics underway we’ve become couch potatoes. Our TV dinners are freshly made with local produce from the Hudson Valley. To quench our thirst, we’re tasting our way around the world of rosés made outside of France, the Olympics of non-Provencal rosé, if you will. Even in prelims, we’re finding that there are some amazing rosé wines being made pretty much everywhere, and we think France may no longer have a lock on the pink wine gold! Everything’s coming up rosés this Summer. While many think of France first when it comes to rosé, there are many fine options from around the world to drink throughout the year. This week, some of the wonderful offerings from Italy (see picture). Standouts for us include the Mezzacorona, BertaRose from legendary Amarone producer Bertani, Masi’s Rosa di Masi, Belguardo from Mazzei, and Castello Delle Regine from Umbria. Have You Been to the The Crust Belt? Melanie says she grew up in The Crust Belt. It’s the section of the South she fondly refers as “the land of fries and pies where everything is better with batter and butter.” That’s why we’re excited to have Bill Yosses on the show August 10th. 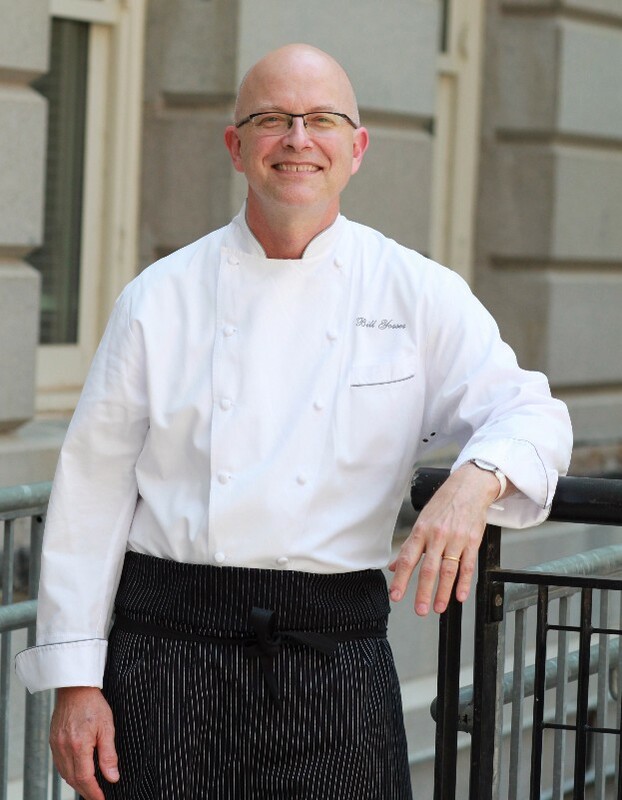 As Executive Pastry Chef at the White House for both the Bush #2 and Obama administrations, Bill had his hand in everything from quiet First Family dinners to more elaborate State Dinners, and exhibits such as the Gingerbread White House. Bill will share some of his White House memories and talk about his new ventures: the non profit Kitchen Garden Laboratory, which teaches food literacy to children in under-served communities. Kitchen Garden Laboratory uses the triad of food and cooking (Kitchen), planting and growing (Garden) and scientific experimentation (Laboratory) in its education programs to promote delicious, nutritious eating for better health outcomes, as well as foster food and STEM (science, technology, engineering and mathematics) literacy. Through Kitchen Garden Laboratory Bill Yosses helps kids understand how food grows and how to cook and appreciate it.